Yesterday, just as a troubling new report surfaced questioning the safety of animals as the National Zoo, one of the facility's rarest residents was found dead in its enclosure. 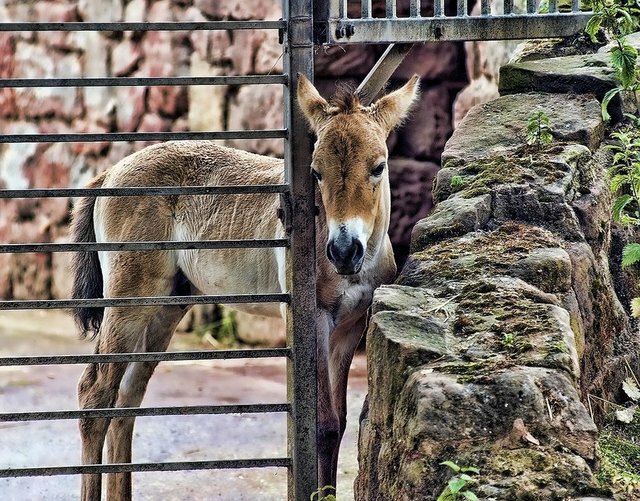 Keepers say that a young Przewalski horse, an endangered species native to Mongolia, died from a broken neck after it apparently crashed into a fence at the Zoo's Conservation Biology Institute -- underscoring, perhaps, doubts raised by reports that the National Zoo was failing to keep its animals safe. "It's pretty stunning and the timing is nothing that we can explain," says National Zoo Spokesperson Pamela Baker-Masson, to WTOP News. "He was found in his large barn where he lived with his mother and other horses." This animal's marks the fourth in a recent string of incidents at the Zoo, fatalities that inside-sources say were avoidable. "We are spread too thin, is the conclusion that I've come to," he said.